One of the joys of visiting another country is getting to know of its cuisines, both at the national and local levels. 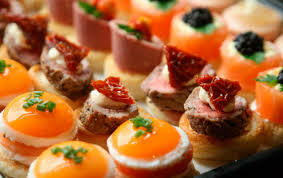 The cuisines of Europe, such as those of Italy, France and Spain, are well known for their delicacies, as are the Asian cuisines of China, Japan and India. Every country has its very own cuisine, with a large repertoire of dishes – and accordingly, it is often recommended to try the local dishes when visiting another country for a holiday. • The common food types to avoid – when travelling abroad, there is a general consensus on food types that would better be avoided, unless you wish to run into a number of diseases. The number one example here is raw seafood, which is a potential harbour for bacteria of all types (and even amongst seafood, you need to avoid clams, oysters and the like). Uncooked meats and unpasteurized dairy products are also a source of concern, as are any raw vegetables and fruits that you did not attend to personally. • Exotic cuisines? – Every country has their very own ‘exotic’ dishes: food types that sometimes, even the locals do not attempt to eat. It may be the monkey brains of Africa, the grasshoppers of Japan or even the blood pancakes of Finland – basically, every country has a few weird dishes. Now, the question you need to ask yourself is whether you are sure your stomach can handle them. No? Then better not attempt to try them. • Learn the food language/ Use a translator app – previously, you would either have to learn the language quite well, or have a notebook with translations of the various food names and types in order to understand a menu of a foreign country. After all, even a general understanding of a foreign language is often not enough to understand a menu, which can feature different names of fish species, dressings and other untranslatable words, such as the different methods of cooking. However, nowadays we have the smartphone app translators, and you can generally depend on them to get a close enough translation. Make sure to use them (or learn the language, if you want to) when dealing with a menu of a foreign restaurant.